Wanna be in a Cartoon Network/Adventure Time Promo? 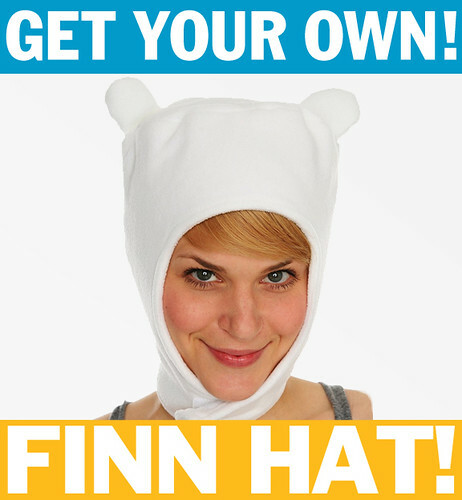 Cartoon Network is looking for pictures of fans wearing their own, hand-made Finn hats to include in a promo they’re putting together. They need the shots ASAP - like, today - and they’ll ask you to sign a form saying you’re okay with their using your picture. Now, there’s no money in it, but you’ll be a world-famous Finn fan. UPDATE: The response has been great, and the network has gotten its fill. Thanks to those who sent in your pictures. 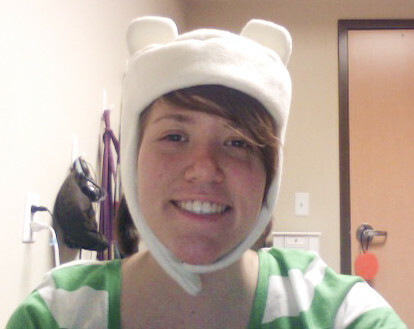 Here are the first fifty folks who emailed and who get their very own Cartoon Network Finn hat. Thanks to everyone who emailed! STOP!!! 11 minutes in and we’ve got 50 emails. Sorry everyone else, but that’s all she wrote. YouTube or Hot Topic will help you all out. You’re all the firstest and the mostest AT fans, so we wanted to give a few of you a present. 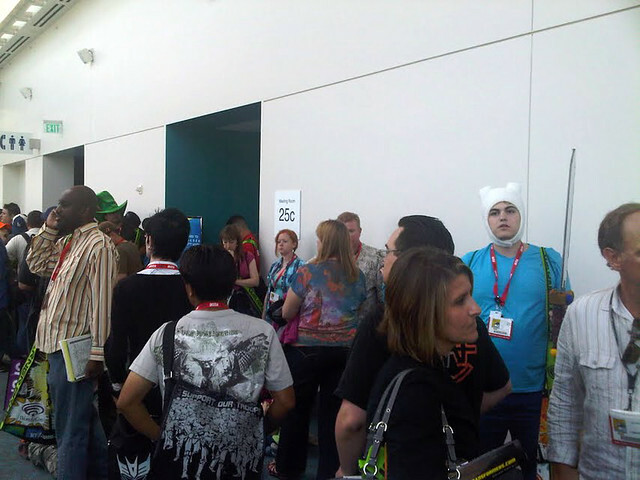 For as long as they last, original Cartoon Network manufactured Finn hats for the first 50 folks that email us at hey@frederator.com. WARNING: Only one hat per address. If you don’t include your complete name, appropriate street mailing address (no post office boxes), or any other information where we can’t deliver your hat, tough luck. Frederator Studios takes no responsibility for your irresponsibility. If we get the suspicion you’re trying to scam us, we’ll just move on to the next email. Go now, email us! Happy Holidays everyone! Thanks for being here for all of us. * Carrie’s toes not included. More fans check in with stuff they made. 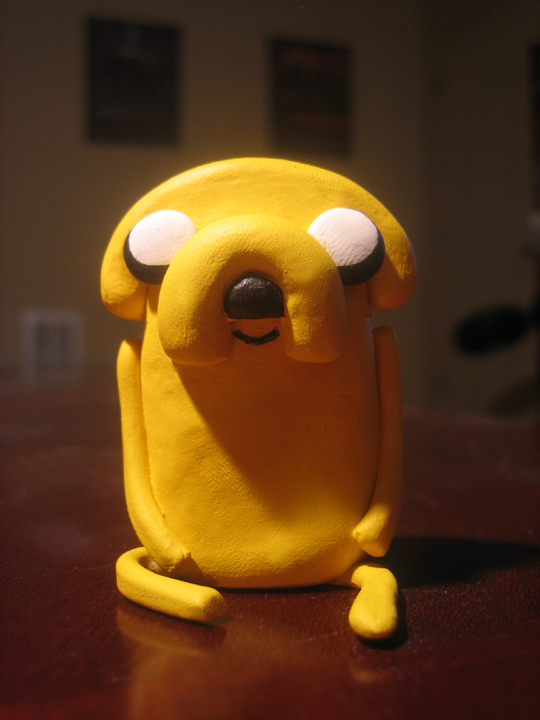 Up top, christina writes, “please come out with action figures so i can stop making my own.” I hope Cartoon Network finds a company to make Jakes as cool as that. 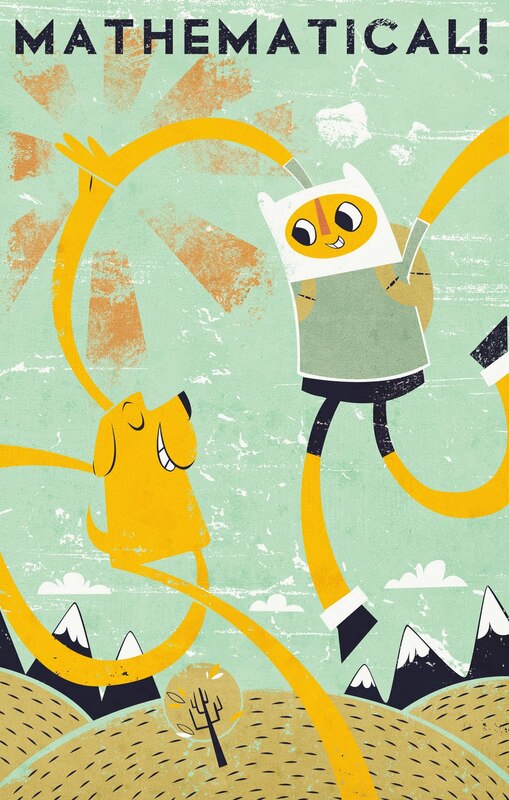 From Bobby O’Herlihy comes an amazing tribute to Finn and Jake! I’m a big fan of Bobby’s work, which you can check out here. Bobby will also be joining us this summer interning on the show. Congrats Bobby and welcome aboard! More Autumn Society tributes here. 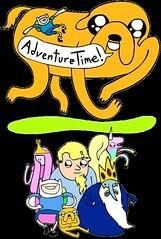 NEW Adventure Time episode tomorrow at 8:00 PM! So much good stuff. 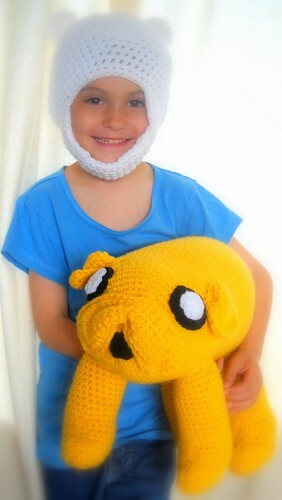 Above, a crocheted Finn hat and Jake from nmelone13 on Etsy. Below, Lumpy Space Princess checks in with an LSP pillow. 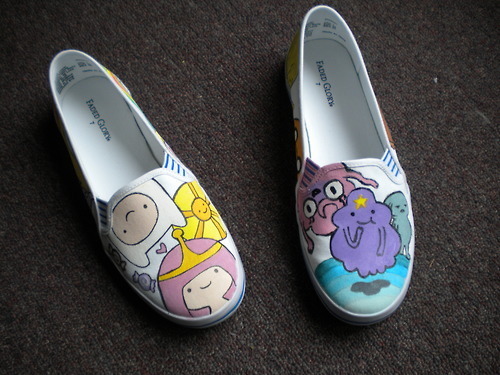 Just take a look at these shoes. 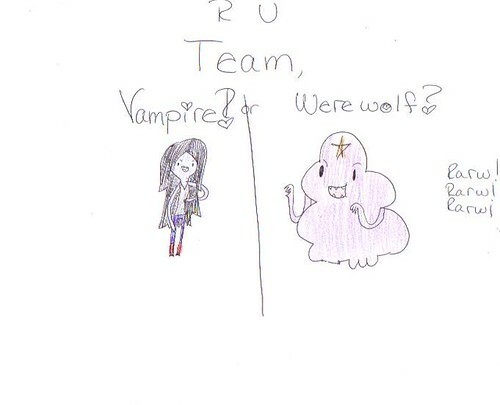 The above picture was submitted by Adventure Time fan Faith. You can see a whole bunch of shots on Lumpy Space Princess’s Flickr photostream. Thanks, Faith and LSP. They’re totally worth stealing. Animatic clips from each of the first season’s episodes are now collected together on Flickr. You can also view them by scrolling through the blog by clicking here. You’ll see a couple bonuses, too, like a few for the main titles. We’ve already got several for season #2. I’ll start posting them in a few weeks.